I’ve been a nurse for nearly three decades. My diverse nursing experience ranges from acute care and public health, to case management and teaching. Through my extensive healthcare experiences, I began to recognize a common theme – patients were reactive when it came to their health care needs. Few patients relied on preventative health care. As a result, I began to question how I could transition and help people become more proactive with their overall health and well-being. My quest for answers led me to disciplines that integrate my nursing practices with other wellness frameworks. I began to learn more about holistic frameworks and methodologies, such as integrative nurse coaching and meditation. I received training at the International Nurse Coach Association and ultimately became board certified as a nurse coach by the American holistic nursing association. In addition, I studied at the Huntington Mediation and Imagery Center in New York where I hold certifications in transpersonal coaching and clinical meditation and imagery. Through this work, I’ve learned how integration of our mind, bodies, and emotions help us to live healthier and more energetic lives. Experiencing these principles firsthand have helped to improve my own life. The key is understanding that change begins from within before it can be maintained externally. As an Integrative Nurse Coach, I support and coach individuals seeking lifestyle changes. I also teach mindfulness/meditative practices to promote mindful living. Being an Integrative nurse coach allows me to coach other nurses, individuals, and organizations that desire to utilize holistic principles in their personal and professional lives. My most satisfying work is providing mindfulness/stress management techniques in group settings. I am excited to be able to empower people to make lifestyle changes that lead to better living and a better life. 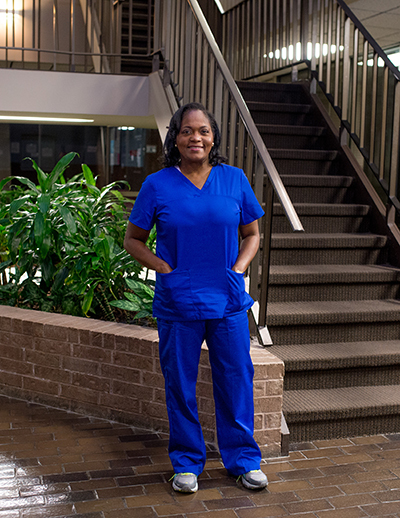 I practice with integrity and passion to ensure the best outcomes of individuals in need of care.